Alex Morris appeared exhausted as the look on her first said it all when she crossed the finish line in 10th place at the Midwest Regional. 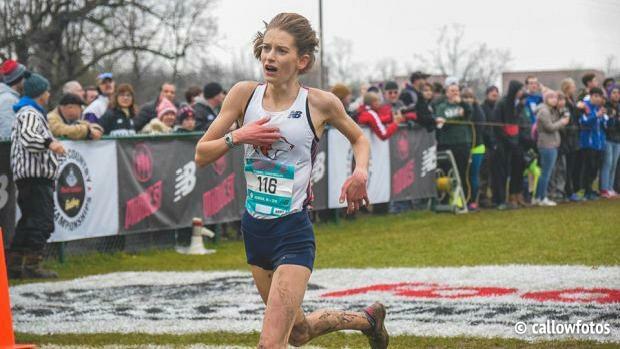 With her legs and shoes covered in mud, she had grabbed the final berth to San Diego for nationals. For those that are getting acquainted with Morris, she is the third Husky in the past four seasons to advance to sunny California. Judy Pendergast was the first to do it with a fourth-place finish in 17:20 in 2016. Next came Sarah Schmitt who had a wonderful harrier season last year, placing eighth in 17:56. Now, it's Morris' turn to make good on All-American honors. The pendulum has stayed up for Morris since the middle of the season. Morris placed 22nd at the Roy Griak Invitational and from that point, she finished in the top 10 in every meet including state, NXNR, FLMW, and NXN. Morris is rated #2 in school three-mile and 5k annals. It will be interesting to see if she can near her personal best 17:17. If so, we could see a national titleholder coming back to Naperville.